Como is both a city and a comune (municipality) on the shores of Lake Como. Tourism is very important to the economy of Como, as it is no longer a centre for silk manufacturing. Many tourists chose the City of Como as a base for exploring the Lake Como area, since Como offers city conveniences in a picturesque urban environment with many restaurants, shops and museums. Founded by the Romans back in 196 BCE, Como is a fascinating blend of elements from various epochs. The city of Como is located at the southernmost tip of Lake Como’s southwestern branch, which is why this branch of the lake is commonly referred to as the Como branch. The city proper reaches the Swiss border. On the other side of the border, you’ll find the Swiss towns Vacallo and Chiasso. Just like the other cities and towns around Lake Como, the city of Como is situated within the Lombardy region. The distance between Como and Milan is approximately 40 km. 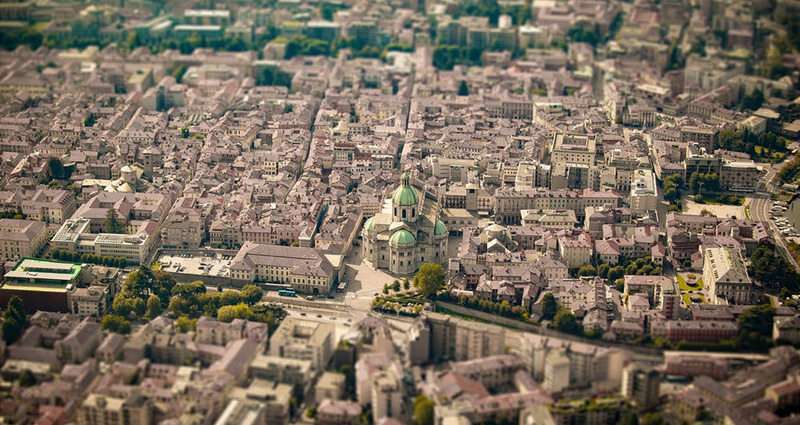 Roughly 85,000 people live in the city of Como. The demonym for Como residents is comaschi. With such a large population, Como can offer a lot of urban conveniences, which has made it a popular base for tourists who wish to explore the Lake Como area without having to give up city life. Como has a humid subtropical climate, and the elevation – which is just 200 metres – doesn’t do much to cool it off. The summers can get very hot, especially when there is no wind. Thunderstorms tend to form now and then however, temporarily lowering the temperature and making the air feel fresher and cleaner. The spring season in Como is generally more pleasant than the summer season. Many visitors from Northern Europe come down to Como to meet the spring while it’s still winter up north. The winters in Como are mild and short. Foggy and damp days are much more common than cold days, but the Siberian anticyclone may bring some night frost. Como has several railways stations, of which the two main ones are Como San Giovanni and Como Lago. These two connects to other main train hubs in Lombardy and beyond, and Como San Giovanni is a stop on the main line between Zürich (Switzerland), Milan (Italy) and Basel (Switzerland). The smaller train stations in Como are Albate-Camerlata, Albate-Trecallo, Como Borghi, Como Camerlata, and Grandate-Breccia.